Is your working environment getting people motivated? There are various factors businesses have to take into account when it comes to getting the best out of their people, one of which is the working environment. With recent research underlining how significant this particular consideration can be, is it time your firm started paying more attention to how the workspace is influencing and inspiring employees? In a survey by CV-Library, more than half (56 per cent) of professionals said they would be more likely to apply for a job that offered a unique or ‘cool’ workplace. Unsurprisingly, it was the youngest of the 1,200 respondents to the study who showed the most interest in quirky and unusual working environments. Four out of five millennials and ‘generation Z’ workers (81 per cent) said they would look for opportunities in distinctive workplaces. Other findings showed that a large majority (81 per cent) of Britons think the design of their workspace has an impact on their productivity. However, less than one in ten people (nine per cent) said they currently work somewhere with ‘cool’ elements. 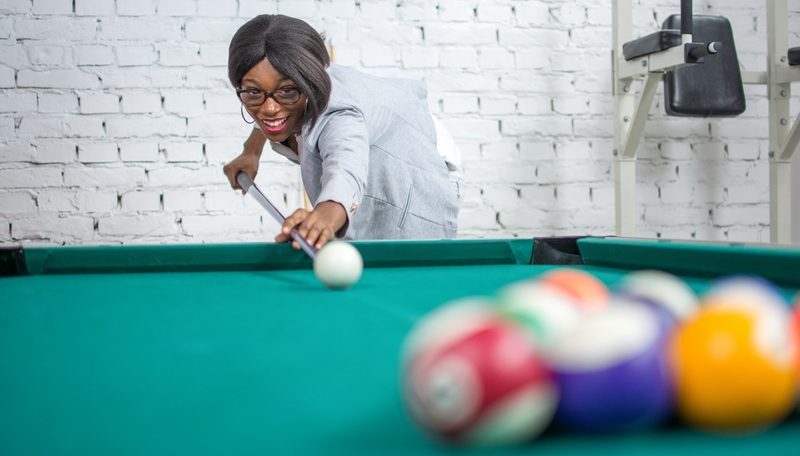 The most common features used to keep staff happy and motivated in their jobs are games rooms (50 per cent), bars (36 per cent), pool tables (33 per cent), table-tennis tables (25 per cent) and cinema rooms (14 per cent). Lee Biggins, founder and managing director of CV-Library, said it was interesting to note the disparity between employee interest in unique workplaces and the proportion of people who actually work in one. However, he also pointed out that some firms may not see this as a major concern. Half (50 per cent) of the workers surveyed by CV-Library felt that quirky workplace elements are a short-lived fad and interest in them will eventually die out. Nearly a fifth (19 per cent) of respondents to the study said they wanted to work for employers that embraced innovation, and there are many ways for firms to show they are moving with the times. Flexibility is a concept that is becoming increasingly important in business and the world of work. Your organisation can realise the benefits of this trend by using flexible office space as and when you need it, avoiding the cost and commitment of a long-term lease. The advantages of flexibility can also be passed on to employees through benefits such as remote working and adjustable hours. Employers that are open to these ideas and willing to give their staff more freedom and control over how they work could see positive results in terms of engagement, workplace morale and productivity. With research underlining the importance of the working environment for staff motivation, are businesses paying enough attention to how people’s surroundings help them work?